Continuously worrying about your work can be quite taxing on the professional life. To ease the tension auto-saving features and automatic backups have been introduced. However, saving the work locally in your computer may not be enough when it comes to reliable backups. To solve this problem cloud backups were developed and the various benefits of it made it a favorite among professionals and companies. Cloud backup Dubai provides the opportunity to store your work and data on a secure and easily accessible platform and also helps in disaster recovery. Using a suitable cloud backup service will let you access a number of useful features and tools. However, one needs to carefully choose a service that will be economical and meet the requirements of the company. Below are a few mentioned points to take care when selecting a cloud backup provider. Protect your privacy even if you think you have nothing to hide! Uploading all data to a location in the clouds is much safer than storing it on a local storage device. Privacy is a fundamental right, and cloud backups offer the most secure options to do so. The best method is to store the data in secure cloud storage which enables you uninterrupted file access. Before uploading the data ensure that the security measures taken by the cloud service are adequate. A number of features such as state-of-the-art encryption of the data and secure data centers are required to keep the data safe and are provided by cloud backup services Dubai. Cloud storage services Dubai, use modern cloud infrastructures located in several geographical locations to let users speedily access the data from anywhere. By using appropriate plans and features, clients can control their data and the way they access it. Companies providing cloud services offer flexible data storage plans and also lets clients access their data at optimal speeds. 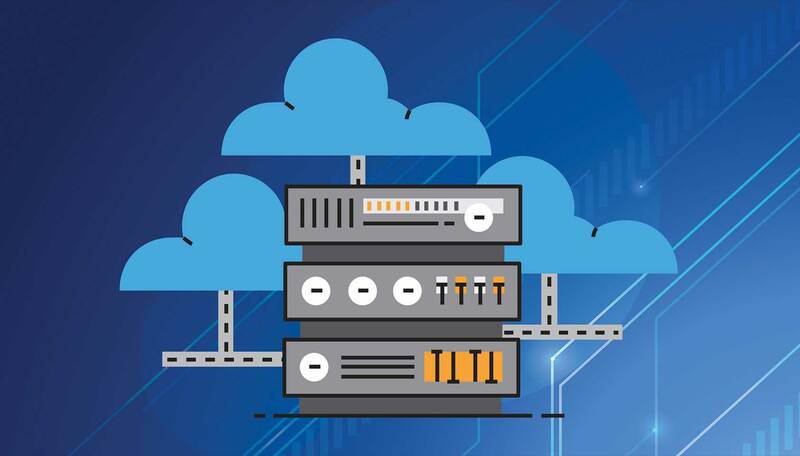 With the help of strong network architecture, and numerous data centers, users can benefit from the highly scalable and flexible secure cloud services, and it also meets the growing requirements for cloud storage. Modern cloud backup providers in Dubai allow clients to access their data through user-friendly interfaces on the computer as well as mobile apps. This makes it easy and simple to control the data and information stored in the clouds. Clients can also easily share files, automatic folder sync on all devices, dynamic file searching, real-time editing of files, to name a few. Service providers also enable seamless syncing across a number of operating systems and mobile platforms, so even if the files originate on Windows-based systems, they are accessible from iOS-based systems too. The online storage systems are independent of the platform of the originating system. Such useful features help in increasing operational efficiency to the firm. Cloud Solutions Dubai, use highly optimized and encryption algorithms and the best storage facilities to offer faster recovery time for accessing data stored in the cloud. This ensures that the service can be used for business continuity even after a natural calamity. For corporate level users, there are paid plans that will surely cater to the requirements of the firm. In such plans, office suite collaborating features are also included which makes it the best choice for business users. Backup services offer easy backing up solutions and allow users to sync their data from a number of platforms such as Windows and Mac. Users can simply select the files and folders and sync them to their cloud account. With the help of user-centric interfaces, such processes are easier and faster. You can also categorize the files into various categories. Cloud backup services keep all the data encrypted at all times to avoid any data thefts. By using the most optimized and best algorithm for security, they ensure faster access and sync capabilities. Cloud service providers in UAE lets users back up their external hard drives, removable devices, and even their network volumes. The tools provided by them helps in saving time and reducing effort. Disaster Recovery Providers in Dubai lets the user create accounts from where they can monitor and control their data. Users can use their intuitive software to access the data by downloading the software on the computer or installing the app on their phones. They can select various plans once they have logged in their account. Using the mobile app also lets users quickly restore their data which makes it a favorite among users. All the data stored in the cloud is secured by using security protocols that are used to secure financial transactions. This offers them a cost-effective solution for data backup and recovery. Backup providers in UAE offer seamless access to their data since they have a 99.99% uptime guarantee. Users can access their data anytime from anywhere at high speed. A team of experts constantly keep watch over the data and storage to ensure that there is no unauthorized access and also to prevent any breach in their security. This ensures unmatched levels of security and peace of mind for users and is thus safe for use at a corporate level too.